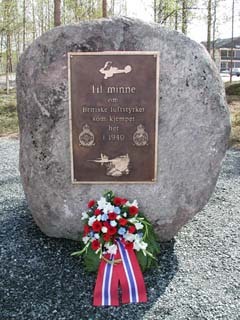 ”To the memory of the British air forces who fought here in 1940” - Bardufoss. Image kindly provided by Morten Kasbergsen. Left: Gloster Gladiator at Bardufoss during the spring of 1940. Klick on the image to see it in full size. Right: Gloster Gladiator Mk.II of 263 Squadron at Setnesmoen, Åndalsnes. The picture is taken in a south-east direction and the mountain in the right background is Vengetindene. The picture is most probably taken in May 1940. Image from The War in the Air - Gene Curney, 1964 kindly via Yuriy Svoyskiy. (a) Not confirmed with German sources. (b) Bf 110C 'M8+?H' of 1./ZG 76 flown by Leutnant Erhard Kort and with air gunner Unteroffizier Heinrich Bockheimer, both killed. (c) Almost certainly Unteroffizier Helmut Mütscherle's (with air gunner Gefreiter Karl Lorey) Bf 110C 'White F' 'M8+FH' of 1./ZG 76 which crash-landed at Vøyen. The German aviators became POW's. (d) Ju 52/3m (WNr. 6570) of II/KG zbV 1; Feldwebel Albert Meier, his crew and 12 members of 2/FJR1 were all killed. This victory might possible be shared with Lieutenant Rolf Tradin. (e) Ju 52/3m (WNr. 6570) of II/KG zbV 1; Feldwebel Albert Meier, his crew and 12 members of 2/FJR1 were all killed. This victory might possible be shared with Second Lieutenant Finn Thorsagen. (f) Not confirmed with German sources but confirmed by his wing commander. (g) Not confirmed with German sources. (h) He 111 of 4/LG 1 claimed shot down. (i) He 111 of 4/LG 1 flown by Unteroffizier Helmut Nolte shot down. Crashed near Lake Lesjaskog around 12:00. One member of the crew killed and three POW's. (j) He 111 of Stab/LG 1 shot down to crash-land south of Vinstra, near Dombås at 1400. The badly injured wireless operator shot himself. Fw Hans Gutt and the rest of his crew were taken prisoners. (k) He 111 of 6/LG 1 damaged shortly after 1400 with two of the crew wounded. (l) He 111 of II/LG 1. (o) Ju 87R of 2/StG 1 crashed into the sea west of Namsos at 18:25. Oberfeldwebel Erich Stahl and Unteroffizier Friedrich Gott picked up by a British destroyer. (p) Do 17P of 1(F)/120 slightly damaged. (q) Not verified with German records. Claimed in combat with He 111s from II/KG 26, which lost one aircraft from 5./KG 26 (reportedly shot down by AA) and got a second damaged. (r) Not confirmed with German sources. (s) Bf 110C-1 ‘M8+NK’ (WNr. 3920??) of 1./ZG 76, flown by Feldwebel Neureuter, shot down. The crew was rescued. (t) Heinkel He 111H-3 ‘1H+KA’ (WNr. 2411) of Stab/KG 26 shot down. The pilot Oberleutnant Hartmut Paul was wounded and taken POW, Oberfeldwebel Eduard Strüber (observer) was killed, Unteroffizier Gunther Eichmann (flight engineer) was taken POW, Unteroffizier Hans Blunk (air gunner) was taken POW and Feldwebel Alfred Stock (wireless operator) was killed. (u) Fw200 V2 W.Nr.2484 of 1/KG40 shot down near Dyrøy Island. The pilot Oberleutnant Hellmuth Schöpke became POW. The co-pilot Oberfeldwebel Fritz Messer and the flight engineer Feldwebel Walter Börjesson returned to unit. The radio operator Obergefreiter Kurt Hartleben was killed. (v) Crashed in flames on Finnöy Island, to the south of Narvik at 10:30. Fw200 from 1/KG 40. One of the crew was killed in combat while the remaining four were taken POWS. (w) Crashed into a fjord near Harstad after 2034. The identity of this aircraft is not verified with German sources. (x) Actually a Do 17F of 1(F)/123. Fw. Anton Schairer and his crew perished. 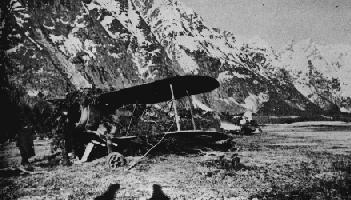 (y) Crashed into a hillside 20 miles south of Narvik at 1500. Not confirmed with German sources. (z) Not confirmed with German sources. (aa) One He 111 of 2/KG26 and one He 111 of 2/KGr100 damaged each with one of the crew wounded. (bb) He 111 of 1(F)/122 which crash-landed at Mo. (cc) Ju 52/3m (WNr. 5636) of KGrzV 106 shot down at 16:15. (dd) Ju 52/3m ‘BA+KH’ of KGrzV 106 shot down at 16:30. (ee) Ju 52/3m “White 2” (WNr. 6713) of KGrzV 106 shot down between 16:30-16:40. (ff) Ju 87 of 1/StG1 crashed in sea. (gg) Confirmed from the ground but not confirmed with German sources. (hh) Confirmed from the ground but not confirmed with German sources. (ii) Confirmed by Norwegians but not confirmed with German sources. (kk) He115 of 2/KüFlGr506 shot down. Feldwebel Fritz Stahl and crew perished. (ll) He 111 of 1/KG26 belly-landed near Ankenes. Pilot Uffz. Paul Richter and his crew became POWs. (mm) Actually a Do215B of 4(F)/ObdL. 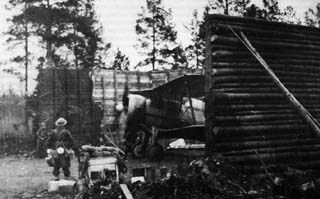 The aircraft force-landed on the Swedish side of the border and the pilot Franz Reichardt and his crew were interned. (nn) Confirmed later by ground troops but only one confirmed with German sources. This was He 111H-31 1H+CK (WNr 5607) of 2./KG26, which made an emergency landing on Lake Grövelsjön with the crew unhurt. (oo) He 111H-4 “1H+BH” of 1./KG 26 shot down. Oberfeldwebel Otto Poser and his crew (Hans Hatlapa, Bernard Schulte and Franz Henkel) became POWs but were later released. (pp) Not confirmed with German sources. (qq) Ju 87R of 2/StG1 shot down. Oberleutnant Heinz Böhne and his gunner were killed. (rr) Not confirmed with German sources. Additional information kindly provided by Birger Larsen and Glenn Murray.